What [Xenophanes] says about Pythagoras goes like this: 'Once they say that while passing a puppy that was being mistreated he had compassion and said: “Stop, do not hit it; for it is the soul of a friend that I recognized when I heard it crying.” (Diogenes Laertius VIII, 36). [Pythagoras] says the soul is immortal; next that it changes into other kinds of creatures; that in certain cycles things that have occurred again come to be, and that nothing is absolutely new; and finally, that there is need to believe all ensouled things are of the same race. Pythagoras appears to have been the first to import these beliefs to Greece. (Porphyrius, Vita Pythagorae 19) Diogenes Laertius (VIII, 4-5) also says that Pythagoras recalled four of his incarnations. They conceived the number one as a whole and after the whole unit of ten is reached the counting begins again, added to the number of ten-units that have already been counted. Because the ten-unit is the renewal of the counting, that amount of numbers is fundamental to the measurement of mathematics; is it again the unit. The number four is the number of numbers that comprise the unit of ten and it is also the number that contains one, two and three (in a seemingly literary sense) and thus produces the new unit, a unit which is the foundation of all numbers. In this sense it seems that the Pythagoreans thought of four as being potentially ten. 1 is not truly a number because it is not yet plural; 2 is the beginning of even numbers, and 3 the beginning of odd. 5 has the distinction of being the first product of the first principles. [xiii] The Tetractys of the Decad (essentially the number 10) is a visual representation of this conception of number. One can see not only the addition of four numbers that comprise ten in interesting ways, [xiv] but also the initial insight into the musical scale fits conveniently into the scheme of this conception of number, the octave and the fifth as well as the fourth being set within the ten-unit. It is no wonder that Pythagoras conceived of material reality as itself composed of number and number composed of music and thus the universe was conceived as musical. Something about number was not only a part of each thing; it was logical constant. Number had determined something essential about the musical scale. It was not merely a tool for measurement, but its ratio was the musical scale. Not only was number always able to be applied with certainty; it was divine in its certainty. [xv] Number becomes vital in the comprehension of material reality because one only needs to apply the proper number or set of numbers to an object in order to know fundamentally what it is. Justice had a specific number, as did a line, a plane and a solid. Since of these principles numbers are by nature the first, and in numbers [Pythagoreans] seemed to see many things most similar to existing things and things coming to be, more than in fire and earth and water so that this sort of manifestation of numbers is justice and another sort mind and reason, and another being opportunity–and each of the others similarly manifest so to speak.... (Aristotle Met. A5, 985b23). Aristotle claims that the Pythagoreans confused abstract number with objects. In other words, numbers themselves were supposed to have spatial extension. While such a misapplication led the Pythagoreans into many imaginative corners, certain calculations applied as measurement of spatial extension operated with seeming flawlessness. One can see how the musical scale and the Decad impressed, but the Pythagorean theorem, still used today, is one representative example of the potency for lasting influence and truth in Pythagoras' perspective on number: the square on the hypotenuse of a right-angled triangle is equal to the sum of the squares on the sides enclosing the right angle (A²+B²=C²). [xvi] The formula is relatively easy. Given a right triangle, the sum of the squares of the two sides opposite the hypotenuse (the side opposite to the right angle) is equal to the square of the hypotenuse. Some scholars assert [xxii] that Pythagoreans believed number to be a kind of atom and that Greeks were slow to think of things as having no spatial extension, but atomistic principle of number and spatial extension may not be precisely what Pythagoreans intended. Number may have possessed a more metaphysical characteristic. Numbers may have been necessary to produce many kinds of substantiality from seemingly insubstantial abstraction. Fire and earth have a different principle than justice or soul, yet Pythagoreans seem to have believed that number was responsible for the genesis of each. The very universe, then, is not only configured differently than common perception allowed, but it produces vibrations by its very essence and is therefore musical. In this manner the Pythagoreans took Anaximander's three wheels (sun, moon and stars) that composed the universe and gave them ratios;[xxv] the earth was shaped like a sphere because of the solid figures it is most beautiful. The Pythagorean cosmology begins when the numbers are generated as the unlimited is taken in (breathed in) by the limit. [xxvi] Notice that in a proto-scientific manner the Pythagoreans make use of number as a means to measure and understand the universe. They do not use an hypothesis and then test it, but they seem to have believed that number not only measured the universe but was that measure. The initial insight of the musical scale applied in a fundamental way to points, lines, planes, plane figures, solids and then other topics like the cosmos. Remember that for them number also applied to abstractions like justice, the soul, god and love. The very universe itself is musical, and perhaps one reason Pythagoreans adhered to this assertion is that such a perspective is somewhat romantic and literary. There is a charm to comprehending the whole of the universe in terms of music. It remains to evaluate some small part of Pythagorean argumentation and see how it applies precisely. We take only the beginning insight of the musical scale and the Pythagorean theorem as our points of discussion. Number seems to have been applied as a tool in the measurement of the musical scale and the Pythagorean theorem. Yet, number is applied to everything possible because the unlimited and limit seemed to be a fundamental part of measurement and calculation. One mistake was that the Pythagoreans took measurement as reality. In other words, even in antiquity Aristotle and others took numbers as abstractions; we have seen Aristotle say as much. The Pythagoreans wished to apply them to reality as the objects they analyzed. Number provides a foundation for the determination of parameters certainly in shapes and abstract solids, but there is no clear argument that number actually is existing solids or abstract notions like justice, and application of number to certain things simply does not work. Thus, Aristotle's complaint. There was, however, a deductive aspect to Pythagorean thinking that must have been seductive. The application of number to right triangles had produced a calculation that unerringly, seemingly, produced the correct assessment no matter the size or presence of a right triangle. Numbers may have seemed to be at once eternal and substantial in every sense because they were capable of measuring despite size or even manifestation. All things measurable by formulations of number are things representative of all parts of reality. All right triangles are things measurable by formulations of number. All right triangles are things representative of all parts of reality. This argument is something like the attitude Pythagoreans seem to have taken. Number as fundamentally all things is assumed once the insight into right triangles and its implications have been observed. One has only to determine how. Imaginative use of number application abounded, and sometimes their efforts came to fruition, as in the Pythagorean theorem. Other times their efforts were playful, as in four points actually being a solid. Yet, one cannot apply number to all things simply because its application to a right triangle or a musical scale seems to have revealed something hidden in them. The revelation of what is a right triangle is not the revelation of any given thing or object. Nevertheless, the use of numbers in the musical scale as well as the Pythagorean theorem is perfectly legitimate. One cannot adequately represent its calculation in a syllogism, but the reasoning makes seemingly impervious connections. In each and every case of a right triangle, given certain conditions, where C is the hypotenuse and where A and B are the opposing lines that comprise the right angle, the formula A² + B² = C² is true. One must think in terms of deduction compared to induction. Math is inherently deductive. 8 x 4 always equals 32, at least in traditional mathematics. There is no other conclusion to draw as there are no other conclusions to draw when other operations are in order. Addition, subtraction, multiplication, division all give one answer. This simple truth makes mathematics absolutely certain in its own realm. One may then apply mathematical reasoning to things in the universe, but as we have seen the application is partial or limited and an element of observation and thus empiricism is necessary. Again, we cannot form a mathematical calculation of justice or of love. The basic outlines of solids are amenable to mathematical calculation, but numbers are not in objects. Objects are in objects. Pythagoreans in their apparent excitement attempted to apply imaginatively a very potent deductive system to things that do not lend themselves completely to such a system. In other words, math as they employed it seems to be limited to measurement of material reality and Pythagoreans wished to transform math into an ontology, or some system that is the study of being. Here is one of the primary divergences of philosophy and science. Science (here physics) is not an ontology; it is a measurement of an object, or a thing, as it exists materially. Pythagoreans thought that what is meta-material about reality and what is material were the same. Therein lies their mistake. Perhaps they were aware of the difficulties of their position, but given that we have only some scattered references from ancient scholars and a not always reliable Aristotle to tell us, we simply cannot make a better determination. The lasting power of Pythagoreanism is that it gave rise to measurement by number, not equation of number with being. One most important thought about the Pythagoreans: the Pythagorean theorem is a logical constant. We will see that as scientific progress continued the use of mathematics in revealing unseen aspects of the universe grew. Yet, mathematical systems are systems of logic. Systems of logic need solid foundations upon which they make assertions about reality. Logical constants in such systems are essential in creating solid connections and reasoning in a strong way. The old analogy of a building applies. A building with a solid foundation stays up. The logical constants are the solid foundation, or the reference points used to make calculations about how objects react to certain conditions and what they are. There are many logical constants in scientific reasoning: sine, cosine, tangent, Pythagorean theorem are only some examples. These logical constants are aspects of material reality that are so regular as to be reliable to insert into hypotheses. And science has used them ever since humans realized that these logical constants do not change. In fact, we have even seen that logical constants like the Pythagorean theorem do not even need to apply to existing things. The formula itself will be true no matter what the state of the universe is. That is how reliable the formula of the Pythagoreans is, and the Pythagoreans began the process of deductive reasoning along with Parmenides and Zeno. [xxvii] Modern science makes use of these logical formulations in order to form theoretical, mathematical calculations that are then tested. Here lies the difference between theoretical and applied mathematics. One can see easily how lasting and incredible such an insight as the Pythagorean theorem has been and continues to be. It has not only endured thousands of years of scrutiny. It also has found its way into the modern world of hyper-mathematical experimentation. Though Pythagoras did not come up with all the insights attributed to him, his one insight endures. It seems, in fact, to be eternal. [ii] Diog. L. VIII, 3. [iii] Plato, Rep. 600 A-B. [iv] Aristotle, Met. A5, 986a 30 and Rhet. B23, 1398b 14. [v] Iambl. V.P. 199 (DK 14, 17). [vi] 1 was mind; 2 opinion; 3 the number of the whole; 4 justice; 5 Marriage; 6 ? ; 7 the right time; 8? ; 9 justice; 10 perfect. Aristotle reviews these but could not determine 6 or 8. For more, see Cornford (1922 and 1923). [vii] Specifically Philolaus, Archytas and Eudoxus. The works of these men are lost, but referred to in later commentaries and other works. Some believe that Pythagoras deserves credit for creating a kind of science. Reviel Netz seems correct in saying that at least Pythagoras combined disciplines that would not otherwise have been connected: math and philosophy. His influence was keenly felt no matter his actual contribution. For a review of the problems that resulted from a possibly overstated reputation of the Pythagoreans and the source materials, see Huffman. For more, see Cornford, Jaeger. [viii] Leonid Zhmud claims that the Egyptians helped the Greeks with practical geometry, or “land measurement”, but they did not influence the ancient Greeks even as much as the ancients believed. Pythagoras would then perhaps be one of the Greeks who began the abstract study of arithmetic and number. S. Luria (in Zhmud) points out that the Egyptians did influence the Greeks; their influence was not vital; the proofs were the result of Greek genius. Walter Burkert adds to this perspective that the Greek study of mathematics was not Pythagorean, but Greek. He claims as well that the Pythagoreans would not have been amazed at their discoveries had they been actual mathematicians. Francis Cornford seems to have believed that Parmenides was influenced by the Pythagoreans, and there is some possibility that Parmenides was a former Pythagorean. Otto Neugebauer agrees that the “Pythagorean” theorem had been used for centuries in Babylon, but the Babylonians never evolved into scientific thinkers and Euclidean mathematics and axiomatic methods were exclusively Greek developments. For an ancient account of the Pythagorean discovery of musical intervals, see Boethius De Institutione Musica I, chaps. 10-11. [ix] The interval sounds are in the plucking of an open string. It is the depression of the string at the correct place that brings out the sound. All musicians of Pythagoras's time would have known the phenomenon. For a succinct and clear explanation of how the intervals operate, see Ferguson. Van der Waerden thinks that Pythagoras himself ought to be credited with the mathematical understanding of the harmonic ratios, which were already known. Van der Waerden also thinks that Pythagoras ought to be credited with understanding that sound comes from vibrations in air. [x] Whitehead claims that Pythagoras began a long tradition of examining the importance of definite numbers in the make-up of the world and even of god. Yet, J.A. Philip points out that there is no evidence for mathematical advancement among the Pythagoreans before Archcytas, a student of Pythagoras. For more, see Maziarz and Greenwood. [xii] Proclus claims that the Pythagoreans claimed the “how many” subsists in itself or must be related to another, and the “how much” or quantity moves or remains in place. Thus Pythagoreans asserted that math arithmetic is the quantity that subsists itself, but music is related to another and geometry understands continued quantity in so much as it is not moveable, Proclus in Friedlein, p. 35. Marziarz and Greenwood claim the Babylonians taught Pythagoras that the constellations have two characteristics: amount of stars and shape of configuration. 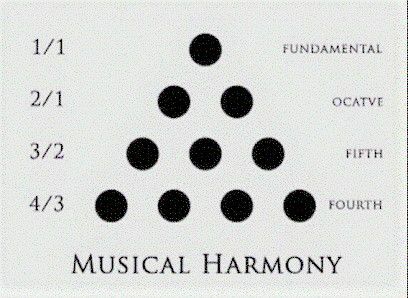 This concept and the ratio of the musical scale suggested number for everything, including ethics and religion. They also claim that the Pythagoreans attempted to find a deeper explanation of reality than Milesians like Thales. Numbers were stripped of particulars and thus “could be taken as the real constituents...of the world.” 14 It is notable that the Pythagoreans most likely did not agree among themselves. [xiii] See Plutarch (Diels, Dox. 96), Stob. Ecl. Phys. I.I. 10, p22 in Cornford (1923). [xiv] There are also ten vertices in the five-pointed Pythagorean star and ten pairs of opposites (principles): limit/ unlimited, odd/even, one/many, right/left, at rest/moving, straight/curved, square/oblong, light/darkness, male/female, good/bad. For a clear explanation of the Pythagorean use of the number ten, see Anglin. [xv] We will see later that the Pythagoreans may have been quite shaken, and understandably so, when they discovered irrational numbers. [xvi] George Allman correctly points out that “according to Plutarch, the Egyptians knew that a triangle whose sides consist of 3, 4, 5 parts, must be right-angled” 29. If the Egyptians were aware of the practical application of what we call the Pythagorean theorem, then Pythagoras perhaps made a proof of the theorem but he did not discover its mathematical truth. His not discovering this truth does not mean that he made no contribution, but his real contribution is perhaps less than has been estimated. Euclid's proof of the Pythagorean theorem is Euclid, I, 47. For an explication of a proof, see Maziarz and Greenwood. [xvii] Aristotle Met. A5, 985b23. [xix] Kirk and Raven point out that the unit (1) is indivisible and so the relationship between the odd and even numbers is visualized by the above gnomons. The unit in ¼ is a relationship of one unit out of a total of four. The unit would seem then to be divisible by repetitions of itself and thus be divisible, but only in a sense. The unit is preserved in the fraction while at once it is divided. [xxi] See also Aristotle Met. M6, 1080b16. [xxii] Kirk and Raven, The PreSocratic Philosophers, 246-50. [xxiii] This conception may have been borrowed from Anaximander. For more on this fundament of the universe, see Cornford (1923). [xxiv] There are later refinements of this kind of argument for the magnitude of numbers, some creating squares and then cubes. The end in any case is the same. It seems to have been argued that number is precisely what allows configurations of point, line, plane, solid to come about and so the kind of shape and then solid would not be as important, except that certain shapes were more important than others. The Pythagoreans were compelled to reconfigure their arguments after Parmenides' criticism of their association of number with objects. There are, thus, pre-Parmenidean and post Parmenidean Pythagoreans and such arguments are not necessarily post Parmenidean. [xxv] Catherine Rowett points out that the Pythagoreans took the cosmology of Anaximander and applied mathematical ratio to it. Anaximander's ratios were arbitrary, but the Pythagoreans applied their notion of number in a much more logical manner. She claims that Pythagoreans appealed to “patterns of numbers” and worked out a more logical harmony of opposites than Heraclitus, and thus taking Heraclitus and Anaximander seriously, but not the Pythagoreans, is inconsistent and incorrect. See Burnett, Heath and Maziarz and Greenwood. [xxvi] Aristotle, Physics IV.6, 213b22. Charles Kahn points out that the One is technically not a number, since it is prior to numbers; the numbers divide into odd and even, and the One itself is even and odd. This seeming paradox is part of the Pythagorean universe and itself may suggest why the Pythagoreans may not have had the crisis of irrational numbers thought so long by scholars to have taken place. For more on the cosmogony and the crisis, see Kahn and Zhmud. [xxvii] No definitive proof exists, but some scholars show that the only evidence we have of deductive proof early in Greek history are the arguments of Parmenides and Zeno. The Pythagoreans did the same, perhaps. We do not know. For more, see Szabo. Allman, George Johnston. 1976. Greek Geometry from Thales to Euclid. New York. Anglin, W.S. 1994. Mathematics: A Concise History and Philosophy. Nerw York, Berlin. Barker, Andrew. 1994. “Ptolemy's Pythagoreans, Archytas, and Plato's Conception of Mathematics.”Phronesis 39, No. 2: 113-135. Beatty, H. 1914. “The Pythagoreans,” Hermathena 18, No. 40: 158-174. Booth, N.B. 1957. “Were Zeno's Arguments Directed against the Pythagoreans?” Phronesis 2, No. 2: 90-103. Borroff, Edith. 1978. “Ancient Acoustical Theory and a Pre-Pythagorean Comma.” College Music Symposium 18, No. 2: 20-23. Burnett, J. 1930. Early Greek Philosophy, 4th ed. London. Burnyeat, M.F. 1962. “Time and Pythagorean Religion.” The Classical Quarterly 12, No. 2: 248- 251. Cornford, F.M. 1922. “Mysticism and Science in the Pythagorean Tradition,” The Classical Quarterly, 16, No. 3/4: 137-150. ____________. 1923. “Mysticism and Science in the Pythagorean Tradition (Continued),” The Classical Quarterly, 17, No. 1: 1-12. ____________. 1952. Principium sapientiae: The Origins of Greek Philosophical Thought. Cambridge. Crocker, Richard L. 1963. “Pythagorean Mathematics and Music.” The Journal of Aesthetics and Art Criticism 22, No. 2: 189-198. Diemel, R.F., Hersey, Mayo D. 1911. “The Pythagorean Theorem.” Science, New Series 33, No. 847: 457. English, Robert B. 1912. “Parmenides' Indebtedness to the Pythagoreans.” Transactions and Proceedings of the American Philological Association 43: 81-94. Ferguson, Kitty. 2008. The Music of Pythagoras: How an Ancient Brotherhood cracked the Code of the Universe and Lit the Path from Antiquity to Outer Space. New York. Friedlein, Godofredi. 1873. Primum Euclidis Elementorum Commentarii. Leipzig. Heath, Thomas. 1921. A History of Greek Mathematics, I. New York. Heidel, W.A. 1940. “The Pythagoreans and Greek Mathematics.” The American Journal of Philology 61, No. 1: 1-33. Huffman, C. 1999. “The Pythagorean tradition,” in A.A. Long (ed. ), The Cambridge Companion to Early Greek Philosophy. Cambridge. Kadison, Richard V. 2002. “The Pythagorean Theorem: I. The Finite Case.” Proceedings of the National Academy of Sciences of the United States of America 99, No. 7: 4178-4184. Kahn, Charles. 2001. Pythagoras and the Pythagoreans, a brief History. Indianapolis/ Cambridge. Levy, Ernst. 1945. “Pythagorean Bases for a New Investigation of Harmony.” Bulletin of the American Musicological Society, No. 8: 5. Lloyd, Geoffrey. 2014. “Pythagoras,” in A History of Pythagoreanism Carl A. Huffman ed. Cambridge. Luria, S. 1933. “On the Problem of Egyptian Influences on Greek Geometry,” Archive of the History of Science and Technology. Macfarlane, Alexander. 1911. “The Pythagorean Theorem.” Science, New Series 34, No. 867: 181-182. Marantz, Samuel A. 1967. “Integral Solutions to the Pythagorean Formula.” The Science Teacher 34, No. 5: 68, 70. Maziarz, Edward and Greenwood, Thomas. 1968. Greek Mathematical Philosophy. New York. Miller, John F. 1979. “Time as the Soul of the World: A Meditation on the Pythagorean Conception of Time,” Apeiron: A Journal for Ancient Philosophy and Science 13, No. 2: 116-123. Netz, Reviel. 2014. “The problem of Pythagorean mathematics,” in A History of Pythagoreanism. Carl A. Huffman ed. Cambridge. Neugebauer, Otto. 1957. The Exact Sciences in Antiquity. New York. Northrup, Edwin F. 1910. “Is this a Dynamical Proof of the Pythagorean Theorem?” Science, New Series 32, No. 833: 863-864. Philip, J.A. 1966. “The 'Pythagorean' Theory of the Derivation of Magnitudes.” Phoenix 20, No. 1: 32-50. ________. 1963. “Aristotle's Monograph on the Pythagoreans.” Transactions and Proceedings of the American Philological Association 94: 185-198. ________. 1963. “Aristotle's Sources for Pythagorean Doctrine.” Phoenix 17, No. 4: 251-265. ________. 1968. Pythagoras and Early Pythagoreanism. Toronto. Prowse, K.R. 1964. “Numa and the Pythagoreans: A Curious Incident.” Greece & Rome 11, No. 1: 36-42. Rowett, Catherine. 2013. “Philosophy's Numerical Turn: Why the Pythagoreans' Interest in Numbers is Truly Awesome,” in Doctrine and Doxography: Studies on Heraclitus and Pythagoras. David Sider and Dirk Obbink eds. Berlin, Boston. Stahl, William H. 1942. “Pythagoras and Musical Concords.” The Classical Weekly 36, No. 1: 5. Szabo, A. 1964. “The Transformation of Mathematics into Deductive Science and the Beginnings of Its Foundation on Definitions and Axioms,” Scripta Mathematica 27, 27- 48, 113-39. Taylor, A.E. 1926. “The Pythagorean Philosophemes.” The Classical Review 40, No. 5: 149- 151.
van der Waerden, B.L. 1943. “Harmonielehre der Pythagoreer,” Hermes 78, 163-199. West, M.L. 1971. “Callimachus on the Pythagoreans.” The Classical Review 21, No. 3: 330-331. Whitehead, A. N. 1941. Science and the Modern World. New York.